Windom South Park	Windom South Park is attached to Windom School located on the corner of 58th and Wentworth. 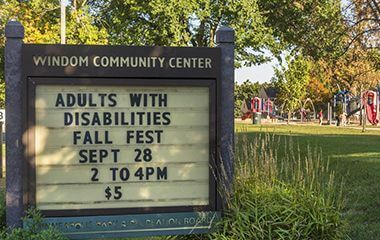 Name: The park was named for the adjacent Windom School. 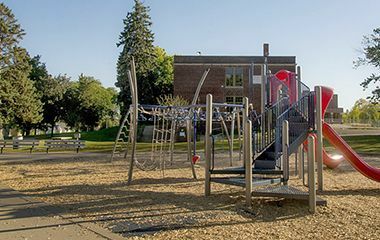 Another Windom Park already existed in northeast Minneapolis—it had been named in 1893 for William Windom, former U. S. Senator from Minnesota and former Secretary of the Treasury—which is why the “south” was added to the name. A park had been proposed for the area in 1928 shortly after that section of the city had been annexed by Minneapolis from Richfield. But the idea for a park at 58th and Nicollet, two blocks east of the present park, was abandoned in 1931, at the height of the Great Depression. Property owners in the area were unwilling to have their property assessed for the cost of a park. Four other proposed park areas were abandoned at the same time in the annexed area from Fort Snelling to Edina across south Minneapolis. Of the areas considered for parks at that time, Windom South was the last to get a park. Bossen, Armatage, Kenny and Morris parks were all acquired and developed as parks, in that order, in the 1940s and 1950s. The initial creation of a park at the school site occurred in 1986 when the park board leased land from the school board to create a playground for small children. The original playlot was created in 1988. In 1997 the park board participated with the school board in remodeling the elementary school, then Windom Open School, with the addition of a gym, media center and park recreation center. By their cooperation both the school board and park board were able to upgrade their facilities and programs without duplicating facilities and costs. The new joint-use facilities were completed in 1999 at what became a Spanish language immersion school. 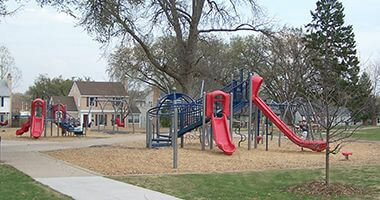 A new totlot was constructed in the outdoor play area in 2008 that included two accessible play areas. 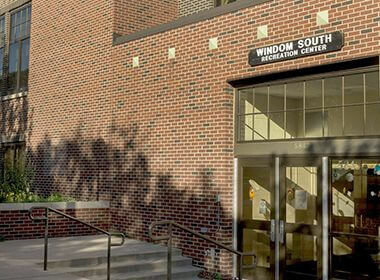 Windom South Recreation Center offers programming year-round. Because a Windom Park already existed in Northeast Minneapolis, the "South" was added to Windom South's name.